Everyone makes mistakes. Even the very best general managers in the NHL slip up now and again because there are so many variables to consider with any move. One trait that separates the good from the bad is the ability — or maybe rather the willingness — to learn from those gaffes. Edmonton Oilers GM Peter Chiarelli seems to brush his blunders off as though they never happened. Since taking over the job in 2015, he’s been completely obsessed with recreating the Boston Bruins squad that earned him a Stanley Cup ring eight years ago. Imagine paying Milan Lucic $6 million to play hockey in 2019. The sport has moved on to embrace a faster and less physical style, yet he’s stuck to his guns with Homer Simpson-like stubbornness. 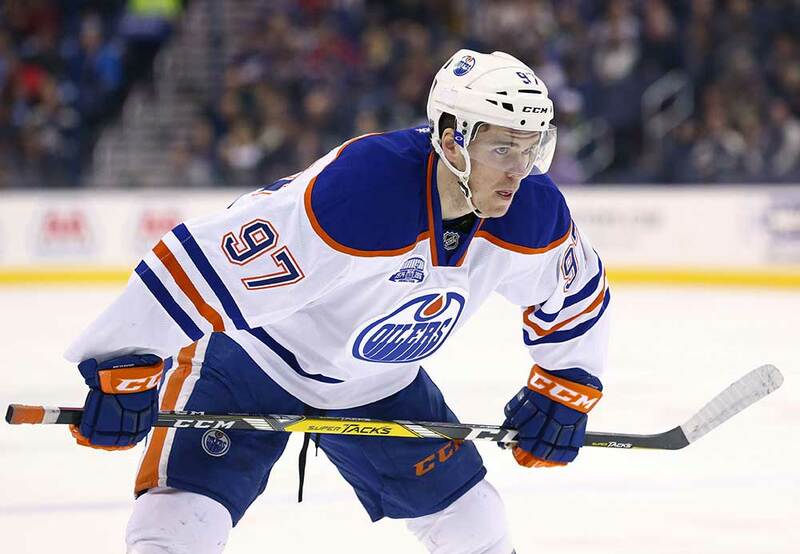 All that has accomplished is waste the early portion of Connor McDavid’s career. Let’s be clear: Edmonton’s captain is special. His world-class skill becomes even more lethal when you combine it with inhuman speed. It almost doesn’t make sense how easily and consistently he breaks away from helpless defenders. Once he gathers a head of steam, he carves defenses up without breaking a sweat. To complement his sublime passing, he’s become a more confident scorer over the past two campaigns as well (64 goals in his last 121 games). Saddle him with Alex Chiasson if you want, coach. McDavid will produce nonetheless. However, his impact is often trumped by the team’s defensive woes. He’s posted 61 points in 39 games (4th in the league) this season despite a blue line that simply can’t move the puck up the ice. Somehow, Chiarelli recently decided to trade for Alex Petrovic and Brandon Manning. A team that desperately requires a smart and composed puck-mover acquired…more of the same. The Oilers don’t only rank 23rd defensively because their coverage is poor. They struggle in their zone because they spend so much time in it. They control just 49.2% (20th) of the shot attempts and 48.2% (22nd) of the scoring chances at 5-on-5, and they don’t boast the sort of supernatural offense that can overcome such a glaring flaw (47.7 GF%, 20th). Now more than ever, a good offense is the best defense. Tilt the ice toward the opposition’s crease for as long as possible. That’s hard to pull off when your team can’t break out of its end, though, and a defensive stand isn’t complete until you transition to the attack. Chiarelli has only taken half the battle into account, icing a slew of blueliners who appear content to merely survive their shifts. Adam Larsson (6’3”, 208 lbs), Kevin Gravel (6’4”, 211 lbs) and Petrovic (6’4”, 216 lbs) are impressive physical specimens, but they do very little to assist their forwards. While Manning (6’1”, 205 lbs) isn’t quite as tall, he offers that familiar, lumbering style. Darnell Nurse is perhaps the most disappointing rearguard on the roster. The seventh overall pick in 2013 is blessed with great tools: He’s built solidly (6’4”, 221 lbs), can skate like the wind and handle the puck reasonably well. However, his hockey IQ lags far behind his skill set. In his fourth professional campaign, he still regularly makes unforced errors and over-aggressive plays that leave his team in a bind. Granted, Oscar Klefbom’s absence (hand injury) has magnified this sore spot. The 25-year-old is Edmonton’s leader on the blue line and provides an effective all-around game. Kris Russell has also missed time with a groin issue. New head coach Ken Hitchcock hasn’t been able to rally the troops, as the Oilers are 2-6-1 since those injuries. Andrej Sekera, who tore his Achilles tendon in the summer, hasn’t played all year. He’s 32 now and there’s no telling whether he’ll ever be the same following such a significant setback. With those voids in the lineup, everyone has been pushed into roles they aren’t suited for — and the results have been dismal. This has placed the team’s latest additions under the microscope too. In an admittedly small sample size, Manning’s performance has been as advertised: 47.2 CF%, 45.8 SCF%, 33.3 GF%. His effort can’t be faulted, but he just doesn’t possess the puck skills to make a difference on the back end. Petrovic, meanwhile, has been an utter disaster. Opponents have beaten the Oilers into submission during his shifts, controlling 70.1% of the shot attempts and 67.7% of the scoring chances. Obviously, those numbers should normalize to some degree over the remainder of the year, but Petrovic and Manning have never proven reliable on their previous clubs and shouldn’t be expected to move the needle in Edmonton. In hopes of addressing the most serious weakness on his roster, Chiarelli went for bargain-bin options in the wrong mold. He’s willing to work the phones and pull the trigger on deals, but he won’t snap out of his nostalgia and notice the reality that’s staring him in the face: Edmonton needs a puck-mover in the worst way. 2018 10th overall pick Evan Bouchard isn’t ready yet. He proved as much in a short stint with the big club earlier this season. He needs to work on his skating, consistency and level of urgency at the point of attack. 21-year-old Caleb Jones has displayed signs of promise, but asking him to shoulder too heavy burden too soon is not a wise approach. Let him develop organically rather than throwing him into the fire. Unfortunately, McDavid may not have the patience for that tack. The 21-year-old superstar is ever-improving and clearly has title aspirations, but his team is stuck in the mud because its general manager is stuck in the past. Under different circumstances, bringing one of Petrovic or Manning on board as a sheltered, stay-at-home specialist would be palatable. It wouldn’t be a good move, but you could see the reasoning behind it. Bringing both into the fold when your personnel is already overflowing with mediocrity? That’s another story entirely. Two wrongs don’t make a right. Neither do four or five. The worst part of all this is Chiarelli’s refusal to take responsibility for his own mess. Firing Todd McLellan probably satisfied Oilers fans everywhere, but it felt so self-serving. It was the coach. Not the inadequate roster. Though the team isn’t well constructed, the 19-18-3 Oilers are still just a few pieces away from contention. Their captain truly is that good. 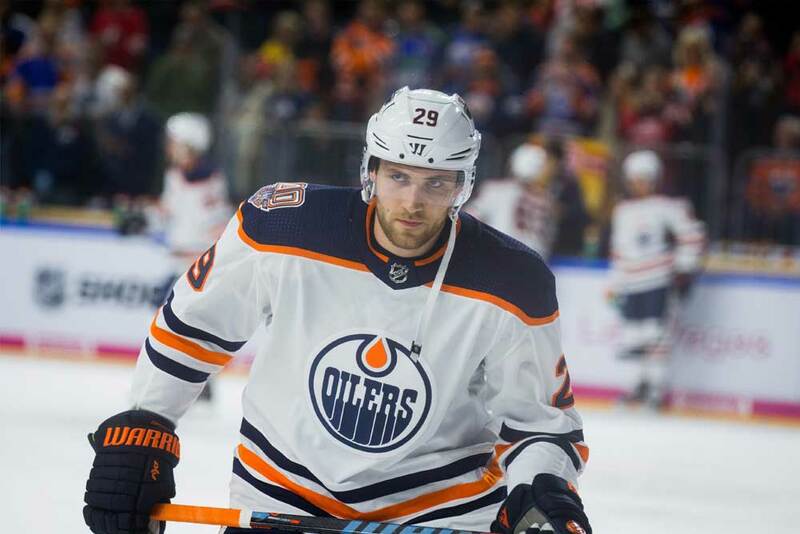 Leon Draisaitl (51 points in 40 games) hasn’t fulfilled his potential as a center, but he’s been superb as McDavid’s partner in crime. If management can’t adapt to the times, however, their phenomenal work will represent an exercise in futility. Even though it hasn’t paid off in years, Chiarelli keeps chasing after an era that’s drifting further and further into the rear-view mirror.